Football superstar David Beckham has escaped punishment for speeding in his £160,000 Bentley because the police letter about the charge got lost in the post. The former England captain, 43, admits breaking the 40mph speed limit while driving along the A40 in west London in January this year. But he hired top lawyer Nick ‘Mr Loophole’ Freeman to help him beat the charge, successfully arguing that the Met’s Notice of Intended Prosecution had not arrived within the 14-day time limit. At Wimbledon magistrates court today, District Judge Barbara Barnes found Beckham not guilty of speeding at the end of a highly technical day-long trial. She said police witnesses had given credible evidence that the notice had been sent out on time, but she believed the letter had arrived a day later than expected. “The defence being put forward may be described as technical, but in consideration of the law it clearly requires offences such as speeding to be pursued swiftly and diligently by the prosecution”, she said. Beckham was at the wheel of his hired Bentley when it was caught on camera going 59mph at 5.37pm on January 23, and he later told police he had been driving. A letter saying he was being prosecuted was printed out by a Met Police official on February 2, and was dispatched to the owners of the car, Bentley headquarters in Crewe. However, the letter was stamped as arriving on February 7, one day after the 14-day statutory time limit had expired. “I am satisfied the Notice of Intended Prosecution was indeed sent within the 14 days with allowance for it to be delivered within the 14 days”, said the judge. “But the law does allow for the vagaries of the system to be addressed if it is proved the notice didn’t arrive in time. “In the particular circumstances of this particular case, what I find is on the balance of probabilities it’s more likely than not that the notice was actually not served on the registered keeper within 14 days as required. Mr Freeman called a legal advisor and the postmistress of Bentley to back his case that the letter had been late. “Unfortunately and sadly some post attracts problems, you hear about it in the media all the time”, he said. “It could be simply and inexplicably there was a delay in the sorting office in London or the sorting office in London. Mr Freeman also challenged the Met’s system of sending out Notices of Intended Prosecutions, pointing out that Beckham had also been wrongly accused of running a red light in April. 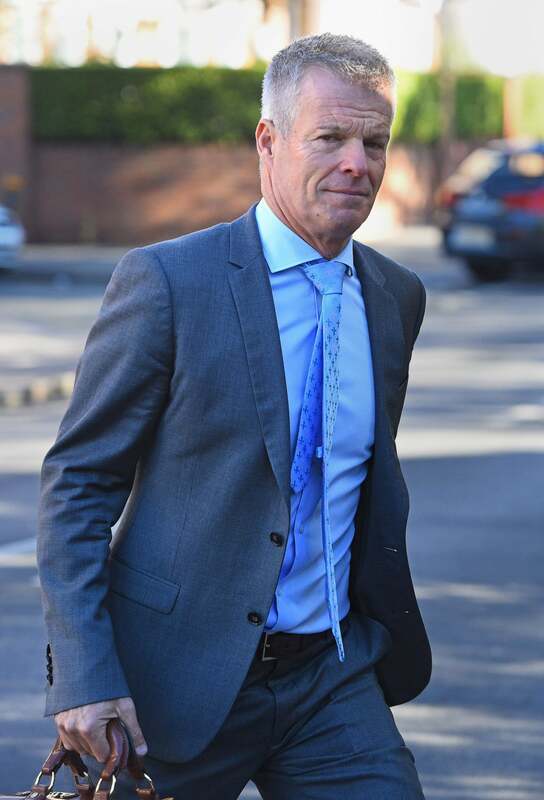 The ex-footballer was sent a letter – to the wrong address – claiming he had been driving a Ford which was caught on camera driving through a red light. However, Met case worker Sylvia Gladman was later forced to write to the star to apologise, and say that it had been discovered it was not Beckham’s car. Vivien Howie, a Met Police administrator, told the court she had been given Beckham’s speeding ticket letter to be put in an envelope and franked, among a batch of 3,487 similar notices to other people. “I didn’t see the postman coming to collect them”, she said, adding that it was “unheard of” for the mail to not be collected. During the trial, Mr Freeman admitted some may balk at the way Beckham has approached this case. “He accepts he was driving, he accepts the speed, and that isn’t in any way in dispute”, he said. The footballer was not in court today, but posted an “angry” car selfie on his Instagram account complaining about traffic in London. Beckham was found guilty of speeding in December 1999 but managed to keep hold of his licence when a judge accepted he had been “under duress” because of pursuing photographers. He was caught driving a Ferrari at 76mph in a 50mph zone in Stockport, and was initially given an eight month ban and an £800 fine. But he successfully appealed to get his licence back, when the judge decided there were “special circumstances” in the incident. Beckham, who lives in Holland Park, denied and was found not guilty of exceeding a 40mph speed limit in contravention of a Local Traffic Order.